In what one of the authors has described as “a somewhat critical and light-hearted look at our current enthusiasm for aggressive approaches to oligometastatic prostate cancer”, an article currently in press asks some serious questions about the use of metastasis-directed therapy or MTD in the management of such patients. “Oligometastatic” prostate cancer is commonly referred to as a description of a form of advanced prostate cancer characterized by up to three simultaneously apparent (“synchonous”) metastatic lesions within the bones or the lymph nodes. Does such treatment really extend patient survival? Does it improve quality of life over time? Are there definable subsets of patients who seem to do better (or worse) in response to such treatment? Is there a specific form of imaging technique (e.g., gallium-68 PMSA-enhanced PET/CT scanning) that should be seen as the “gold standard” for identification of appropriate metastatic lesions in patients who are the best candidates for such treatment? Murphy et al. 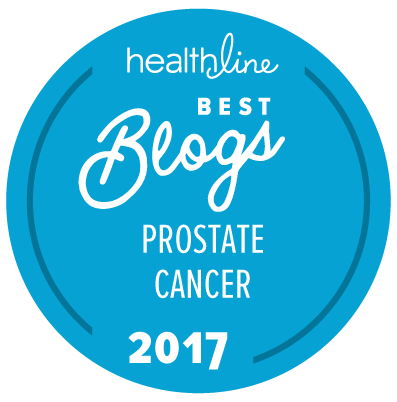 note that, over the past few years, there has been a massive growth in the number of publications in medical journals about the management of patients with oligometastatic prostate cancer (from about 20 in 2014 to nearly 250 in 2016) that has paralleled the growth in the number of publications about PSMA PET/CT scanning for prostate cancer (from about 10 in 2014 to > 35 in 2016). In other words, we are seeing the same massive growth in the treatment of oligometastatic prostate cancer as we saw in the uptake of the game Pokemon Go in 2016. But is this growth really justified? At the end of the day, at best, the use of metastasis-directed treatment (MTD) in the management of oligometastatic prostate cancer is currently an “investigational” technique (and many would use the term “experimental” as opposed to “investigational”). It is going to take a while before we shall really know how well-justified the use of MTD is for the majority of men with oligometastatic prostate cancer. Like Dr. Murphy and his colleagues, The “New” Prostate Cancer InfoLink isn’t saying that MTD is a bad idea. On the other hand, we are saying that this is an unproven form of therapy and needs some really serious and organized study before everyone simply jumps onto the bandwagon. Playing an advanced version of “Whack-a-Mole” with one’s prostate cancer metastases is probably not going to have long-term benefits for an awful lot of patients. On the other hand, if we could really define the patients who demonstrably benefit from MTD, then this would be an enormous step forward. We expect Jim Waldenfels to be commenting promptly! Editorial note: We thank Dr. Declan Murphy of the Peter MacCallum Cancer Centre and the Australian Prostate Cancer Research Centre in Victoria, Australia, for providing us with a full-text copy of this paper for our review. As we saw in a commentary over a year ago, (“SBRT for oligometastatic recurrence”), “whack-a-mole” doesn’t work well as a curative solution (85% had distant metastatic recurrence within 5 years), and we don’t even know if it delays progression (metastatic occurence usually begins slowly anyway, so there is a lot of lead-time bias when advanced PET scans are used for detection). Patients often have a distorted idea of the natural history of metastatic progression, and think that what is detectable is all there is, or is most important. So, what is a radiation oncologist to say to a patient who has heard about oligometastatic cancer on the Internet and pleads to have his detectable mets zapped? There are only a few randomized clinical trials out there. I think most ROs would zap them if they are in a safe place and the potential for harm is minimal. I do think that pelvic lymph nodes may be a special case because progression may be especially slow from there. In that case, however, a discussion should include treatment of the entire pelvic lymph node field. At least there is some Level 2 data to back that approach. Of course, widening the field increases the risk of side effects. All of this requires discussion. In 2012 I had brachytherapy for T1c Gleason 6 disease. Nine months later I had a rising PSA. Bone scan and MRI showed a metastasis to my L5 vertebra. Biopsy confirmed adenocarcinoma of prostate origin. Urologist said the only treatment was ADT for life. Second opinion at M. D. Anderson Cancer Center suggested 6 months ADT followed by EBRT to the solitary lesion. My urologist said sure, you can do that “if you want to go all out”. Of course there were no guarantees but I absolutely wanted to try it. It has been 3 years since that radiation. My last three quarterly PSAs have been undetectable. At 66 my quality of life is great. I don’t even think about my cancer unless I read an article like this one. I am one patient who has demonstrably benefited from MTD. Great link to additional research as well. As usual, better questions than answers. Great link to additional resources. Definition of oligometastatic: A sign of the recency of most research (very nicely handled in the article above) is that the very definition of oligometastatic prostate cancer is still in flux: here it is defined as “up to three simultaneously apparent (“synchonous”) metastatic lesions within the bones or the lymph nodes.” Some other definitions include five or fewer bone metastases, fewer than five bone metastases, and fewer than five metastases. I had not seen a limit as low as three previously, though at least one leading medical oncologist is observing considerably better results when the number of mets is three or fewer than five. Locating/targeting oligometastatic mets: Dr. Eugene Kwon (Mayo Clinic, Rochester, MN) gave a really nice presentation/Q&A last September featuring use of C11 choline PET/CT to sort out the metastatic profile behind recurrent prostate cancer. One indication of the recency of this field is that this C11 choline scan was approved in 2012 — just a few years ago. First he pretty much destroyed the utility of using the old standbys –- technetium isotope bone scans and CT scans –- for timely detection and monitoring of oligometastatic prostate cancer. Then he had a slide showing how the C11 choline scan was capable of showing whether treatment was actually killing a tumor, or not, which was beyond the capability of the older technology. Then he revealed that the “vast majority” of post-treatment failure disease they identified with the scan was oligometastatic, by which he meant five or fewer metastases within the body. To illustrate this point he followed with eight slides of oligometastatic tumors in various parts of the body. He presented a number of slides suggesting remarkable responses to knocking out the metastases early, but even the successes raise the issue whether we are seeing “lead time bias”, at least in part, as Allen Edel suggested; while encouraging, we need more follow-up. My take on this is that there is substantial uncertainty at this time, as suggested in the article and prior comments, but also a solid base of encouraging and rapid progress.